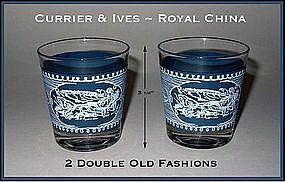 These glasses are from the Currier & Ives series from Royal China Co. They may have been made by Libbey Glass. They're in excellent condition! Unusual size.